Jet fans – also known as impulse or induction fans –support the natural flow between the supply air and extract air zones. They provide motion in regions with low air speeds, thus guaranteeing the daily ventilation requirement for all areas. Jet Fans to ventilate and extract smoke from enclosed / underground car parks and basements. Our Jet Fans have the highest thrust to consumed power ratio in the industry. 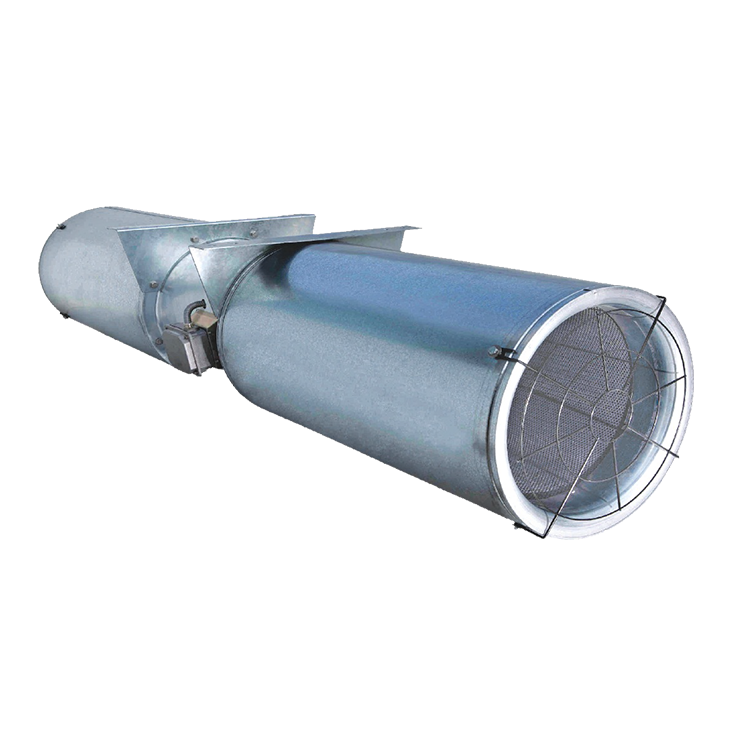 Jet Fans provide the ability to ventilate and extract smoke without using any ducts resulting in tremendous cost savings, power savings and increased installation efficiency. This Fans can be used for normal ventilation and also for smoke extract in case of emergencies, or a combination of both.